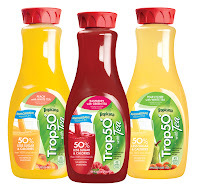 Have you heard of the new Tropicana® Trop50® Juice with Tea? It's a new line of beverages from Tropicana with 50 percent fewer calories but with the great tea flavor if you are a tea fan. These new juice with tea combinations are made with delicious fruit juices and white and green teas to deliver a great-tasting and nutritious juice beverage. As with the Tropicana juice I love, Tropicana® Trop50® Juice with Tea is located in the refrigerated area of your local store. Trop50 Pear Lychee with White Tea. 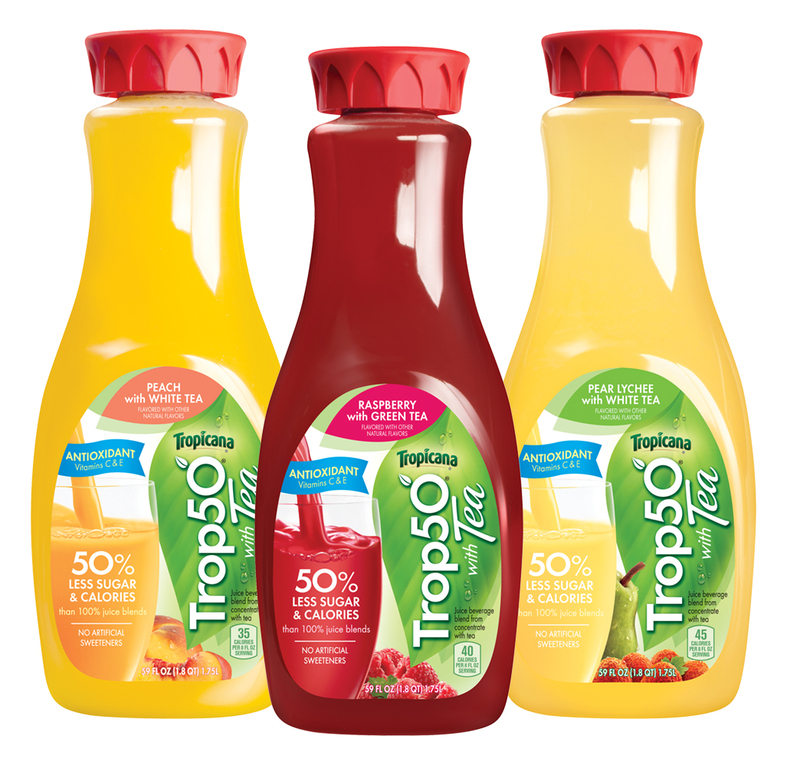 What's great about Tropicana® Trop50® Juice with Tea is it's lower calories at only 35-45 calories per eight-ounce glass, provides a full day's supply of vitamin C and is a good source of antioxidant vitamin E and has no artificial sweeteners. Since it's just now available, you may not have had a chance to try it but now you will get a chance to win one three coupons for three 59 ounce bottles ($3.96). Tropicana® Trop50® Juice with Tea is refreshingly different but what makes you refreshingly different? *Disclosure: I received no compensation for this post. Details and prizes for giveaway were provided by Tropicana. Maybe my little bit "off" view on beauty. I have always followed my own path. I am different in that I am the couponer in the family and my wife has an apparent allergy to coupons. I swear she has panic attacks when I ask her to go to the store and I hand her a coupon. What makes me refreshingly different is that I am a expert at trivia! I could win on Jeopardy or Who wants to be a Millionare! I don't really care what other people think of me. My willingness to help people makes me refreshingly different. I accept people for who they are. Thanks for the giveaway...quick witted, biting, funny sarcasm ! I'm courteous to everyone. Smile and say hello. Always saying thank you. I am refreshingly different at work because I actually get our state reporting done AND I try to make sure that it is as accurate as it can be.